Lisa Grainger tells a story from Will Jones’ adventure in Sudan on a Nubian safari in her summary of some of the best places to visit for a ‘journey of a lifetime’. 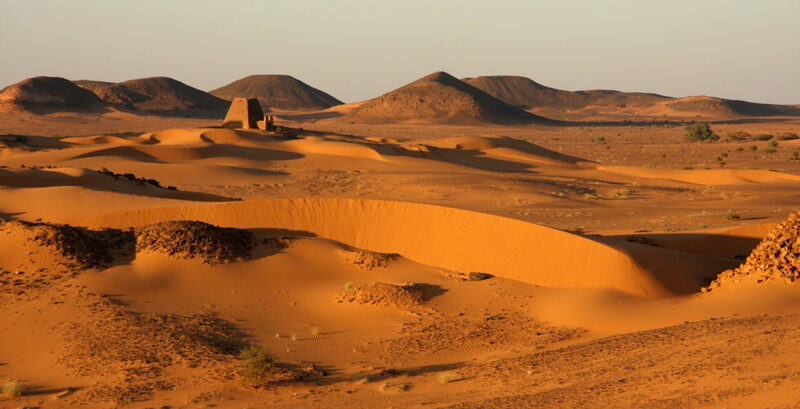 Will tells of a time he journeyed across the Bayuda Desert on foot and on camel, against the flow of the Nile in very simple tents with Stanley Stuart and towards the ancient city of Meroe. Because of the stripped back simplicity of the trip, the travellers were forced to focus on the stars, the wind and the sand and to build on the great friendships they formed with one another on the trip. Do have a read or to plan a stripped back adventure, with space as the luxury, a true frontier safari holiday to Africa, do get in touch with one of our destination specialists who would be happy to begin planning a trip to Sudan with you.